The Lighthouse Construction Industry Charity has said that 2018 was a difficult year for the construction industry and the human impact of the stress and strains of working in such an environment has clearly being seen. Last year, 1662 construction families in crisis called the helpline. 662 of these cases were seeking emergency financial support, an increase of over 40% on 2018. The amount of charitable giving provided in 2018 was £1.25m, a staggering 75% on the previous year. Of the 1662 cases presented to the helpline, 1033 of these were given advice and support on issues ranging from mental wellbeing through to legal, debt management and taxation advice. 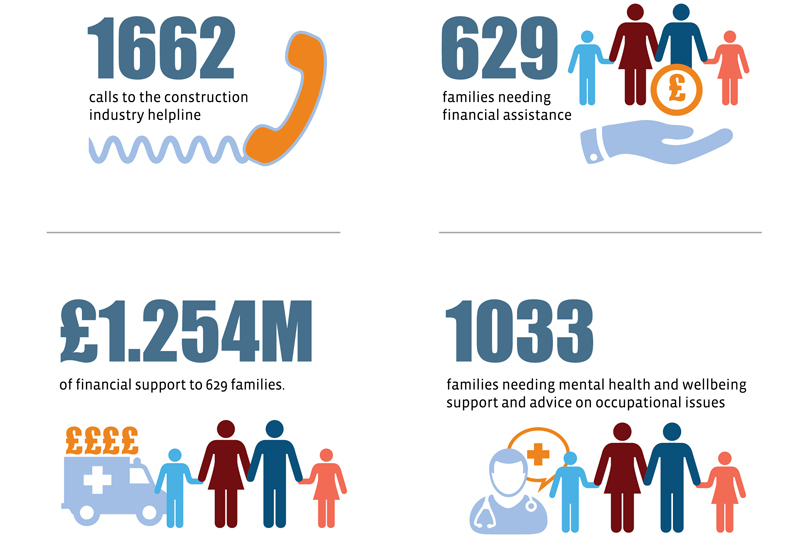 The charity has also seen a huge increase for requests of its helpline packs and now have over 350,000 helpline cards in circulation within the construction workforce. Bill Hill, CEO of the Lighthouse Construction Industry Charity, said: “On the positive side the 2018 figures show that we are reaching out to more construction workers and their families, but it also means that too many of them find themselves in desperate situations. The significant escalation in families needing our support has taken us by surprise and has put pressure on our finances. With the support of construction software firm ‘COINS’, the charity has also recently launched its helpline app. The app helps people find out more information about how they can help themselves or take the next step in seeking professional help. It is a preventative tool and provides support at the early stages of a situation so that the problem does not reach a life critical stage. It provides vital information, advice and guidance on many wellbeing topics including stress, anxiety, depression, anger and suicidal thoughts. For more information, click here.